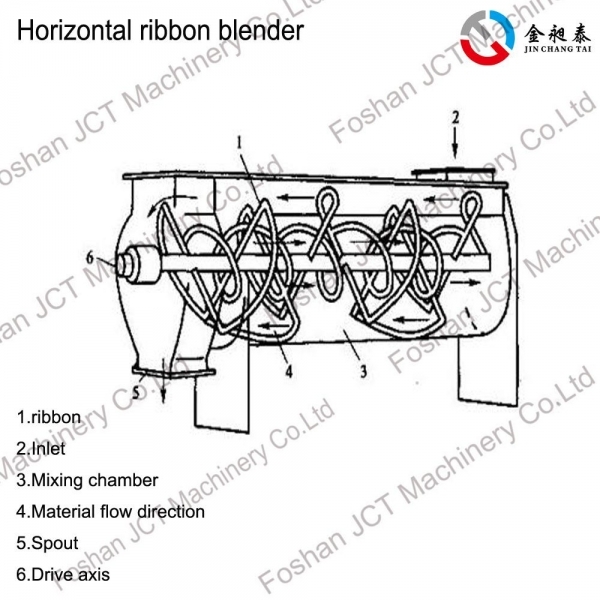 1.JCT ribbon blender for sale consists of U-shaped containers, ribbon mixing blaze and transmission components; ribbon points continuous and disconnect the helical ribbon blaze is generally made of a double or triple outer spiral the materials from both sidesbrings together the central inner spiral the material transported from the center to the sides to from a stream mixed. 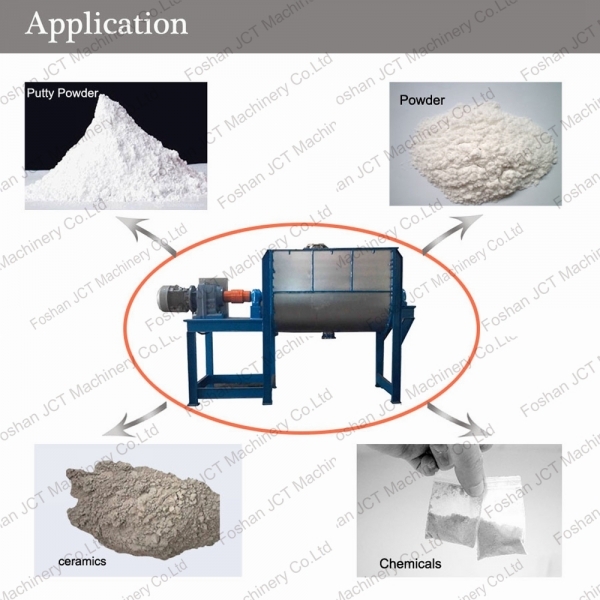 2.Adding a liquid and pasty materials mixed in the ribbon mixer for viscous or cohesive granule mixing and granule has a good effect, cylinder cover can be made of a wide-open door, so that the equipment for cleaning. 4.Discharge generally in the form of a pneumatic flap valve(manual), the arc valve compact embedding barrel, flush with the tube wall, the phenomenon of materila accumulation and mixing dead ends, reliable trim seal, frequent switch leakage. 1) With large loading coefficient,the equipment covers in small area. 2)It's difficult to clean for mixing the sticky or cohesive materials. 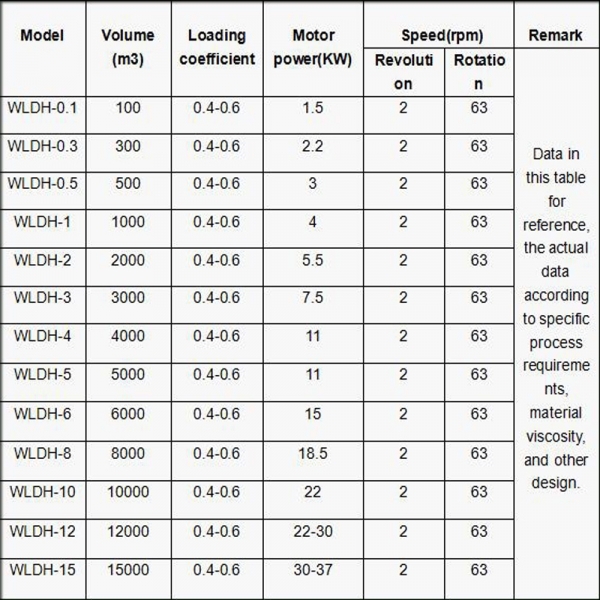 1)The horizontal ribbon mixer is driven by a motor through a reduction of the special arrangement of ribbon spindle rotation.outer ribbon put the material to the centerof machine, inner ribbon push the material to a certain position or plates,both of them can make materials to mutual diffusion,convection, shear, dislocation and radial movement,to achieve a steady mixing performance in a short time. 2)There are three stirring way with standard design.continuous ribbon,Interrupter ribbon,and blaze can be chosen,they were arranged on the requirements of the center or bottom discharge materials. With the discharge form of manual flap valve, the arc valve is tightly embedded inner cylinder,without dead material accumulation and mixing phenomenon.reliable edge of the seal,ensure frequent leaks at the begining.